Description: Abraham Lincoln measured the promise and cost of American freedom in lucid and extraordinarily moving prose, famous for its native wit, simple dignity of expressions, and peculiarly American flavor. 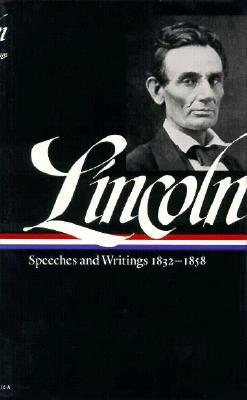 This volume, with its companion, Abraham Lincoln: Speeches and Writing 1859-1865, comprises the most comprehensive selection ever published. over 240 speeches, letters, and drafts take Lincoln from rural law practice to national prominence, and chart his emergence as an eloquent antislavery advocate and defender of the constitution. included are the complete Lincoln-Douglas debates, perhaps the most famous confrontation in American political history.Blue cloth. Bound in ribbon page markers. Previous owner's name written on front decorated end paper. xix, 898pp., index. First Printing. Full refund if not satisfied.